The Penberthy Model 62DP Flocculant Disperser & funnel are made from DELRIN®. DELRIN® is a crystalline plastic which offers an excellent balance of properties that bridge the gap between metals and plastics. DELRIN® possesses high tensile strength, creep resistance and toughness. It also exhibits low moisture absorption. It is chemically resistant to hydrocarbons, solvents and neutral chemicals. These properties along with its fatigue endurance make DELRIN® ideal for many industrial applications. DELRIN® can operate in wet environments with little effect on performance or dimensions. Good wear and abrasion properties with its low coefficient of friction and hard and resilient surface it is the material of choice in many wear applications. Once considered a flocculant disperser for use primarily in wastewater treatment applications, the 62DP could be used for any dry powder or granular product. Many flocculants are multivalent cations such as aluminium, iron, calcium or magnesium. These positively charged molecules interact with negatively charged particles and molecules to reduce the barriers to aggregation. In addition, many of these chemicals, under appropriate pH and other conditions such as temperature and salinity, react with water to form insoluble hydroxides which, upon precipitating, link together to form long chains or meshes, physically trapping small particles into the larger floc. Long-chain polymer flocculants, such as modified polyacrylamides, are manufactured and sold by the flocculant producing business. 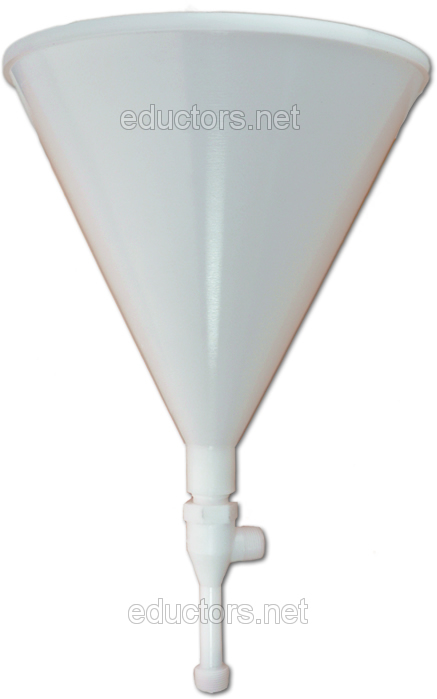 These can be supplied in dry or liquid form for use in the flocculation process. The most common liquid polyacrylamide is supplied as an emulsion with 10-40% actives and the rest is a non-aqueous carrier fluid, surfactants and latex. This form allows easy handling of viscous polymers at high concentrations. These emulsion polymers require “activation” – inversion of the emulsion so that the polymers molecules form an aqueous solution. The table below shows the flow rate of water in gpm at various supply pressures with standard orifice settings.